Inmates at Santa Barbara County Jail will soon be served by six more full-time mental health nurses and more hours from the psychiatrist. Last Friday, Sheriff’s Office received three bids from correctional health-care providers to possibly replace Corizon Health Inc. — which has overseen medical care for 20 years in the Santa Barbara County Jail — when its contract expires next spring. 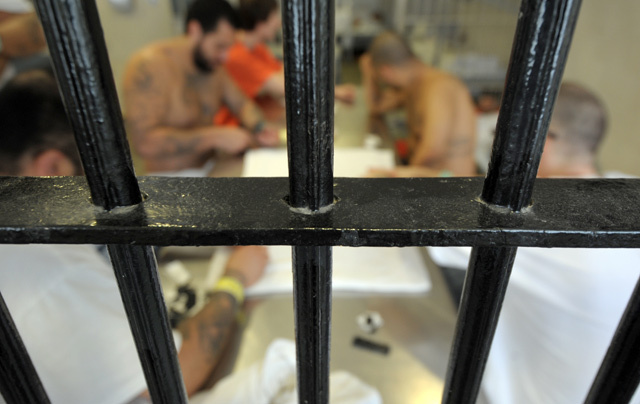 Last fall, the county supervisors ordered the sheriff to open a bidding process after mental-health advocates revealed a grim picture of health care in jail over the course of several hearings. Corizon, which is widely reputed to be the country’s largest provider and has been sued countless times nationwide, applied to renew its contract. The other bids came from California Forensic Medical Group — the state’s largest provider and recently part of a $1 million settlement in Santa Cruz after an inmate committed suicide behind bars — and Tennessee-based Correct Care Solutions. Both have sought to replace Corizon as other sheriff’s departments faced expiring contracts. This week, the county supervisors approved the hiring of six new full-time mental health nurses and extended the contract psychiatrist’s hours. These new staffers will cost the county’s contingency fund $265,000 for the remaining six months that the contract is in place with Corizon. The new staffers will in part oversee the new de-escalation plan to prevent — whenever possible — inmates from being placed in safety cells; otherwise they are required to assess inmates within an hour, then every four to five hours (during the hours of 7 a.m. to midnight). In addition, the new staff will dispense prescription medication to inmates, which has significantly increased in recent years, according to the Sheriff’s Office. The number of prescriptions ordered for inmates increased by 236 percent from one three-month period in 2015 to the same time frame in 2016, the department reported. On Tuesday, a new Field Poll showed 66 percent of California voters strongly supported local governments’ allocation of funds for mental-health services and to increase support programs for young people, among other things. Thirty-nine percent of respondents, meanwhile, support increasing the police force; just 11 percent favor building more jails and prisons. The poll results were released the same day Brown and Sheriff’s personnel held a groundbreaking ceremony for the new northern branch jail, which will add 376 beds to the county’s capacity, alleviating overcrowding at the main jail.